Phoenix Country Club’s vision is to be recognized as the leading private country club in the Phoenix Metropolitan area. As has been its tradition since 1899, the Club continues to strive to offer quality amenities promoting traditional holiday events, dining and social social activities for all ages, exceptional service for the exclusive enjoyment of its Members and their guests. Capitalizing on its unique setting in the heart of a dynamic downtown, Phoenix Country Club will continue to distinguish itself by offering amenities and services customarily provided by leading country and city clubs throughout the country. Golf at Phoenix Country Club is rich in history and tradition. The golf course, was redesigned in 2002 to embody its history and tradition, and continues to be maintained at a level that is unsurpassed by any private club in the Phoenix Metropolitan area. Since inception, the Club continues to strive in providing an overall golf experience promoting history and tradition. Phoenix Country Club offers tennis, swimming, fitness and events programming of exceptional quality. All athletic activities are buttressed by inclusive youth programs and a well-staffed child care facility designed to enhance participation in all Club activities by Members with children. Dining, banquet facilities, and services at Phoenix Country Club, offer Members the highest quality of service, whether it be for personal or business use. The Club has several formal and informal dining venues, diverse menu options, and special food and beverage events designed to encourage Members to use the Club as a preferred outside dining resource. The Board of Directors and Finance Committee ensure its senior management strives to manage Phoenix Country Club in a fiscally conservative manner. The Club’s operating and maintenance requirements are required to be satisfied by operating revenues. Funds for expansion of or improvements to the Club’s facilities, when necessary, will only be committed after full funding has been achieved. Phoenix Country Club will provide a membership experience that will ensure that the Club continues to attract qualified new members. PHOENIX COUNTRY CLUB MISSION To be the premier country club that provides members with a place to belong, the ability to form life-long friendships, and create memories that are a meaningful, lasting part of our collective legacy. PHOENIX COUNTRY CLUB VISION As the original private club in Arizona, Phoenix Country Club has an unmistakable sense of community and belonging. We gather in an urban environment where we honor the legacy of our past and build memories that enrich our Members. Our Club is a place where our Members’ stories are fashioned and become bound to our heritage for future generations. We find each other golfing, playing tennis, dining, exercising, and socializing for reasons beyond simple amenities. Our Members nurture our commonalities, teach our children, interact without pretense, laugh & have fun, network, and embrace the gift of being a part of this wonderful community. Phoenix Country Club is foremost a place where friendships, camaraderie, business and experiences are made, one relationship at a time. That was the vision of the Members for the new Phoenix Country Club when it relocated to its present location many decades ago from Roosevelt and 3rd Street. Little did these founding Members know then that their dreams would come to fruition and our Club would become the preeminent country club in Phoenix. Senator Barry Goldwater was one of the Members who had great influence on the Club early on, and saw it grow and prosper during his lifetime. 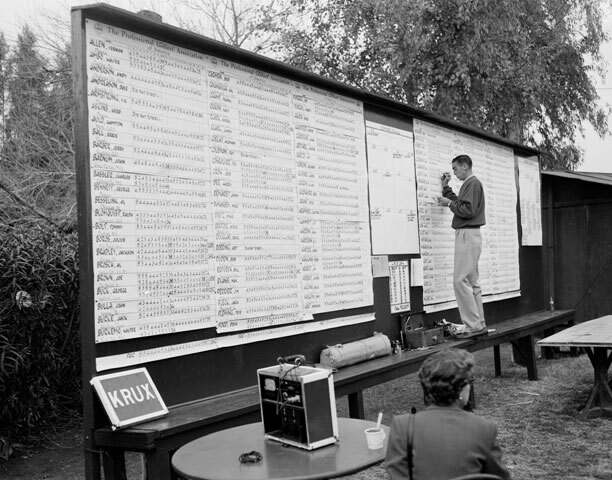 His brother, Bob Goldwater, is recognized by many as the father of the Phoenix Open, which was held at Phoenix Country Club from 1932 through 1986. "I thought the idea of a golf tournament in Phoenix in the winter would be an ideal way to bring awareness to Phoenix," he said. Ben Hogan, Byron Nelson, Jack Nicklaus, Arnold Palmer, Gene Littler, Johnny Miller, Miller Barber, Ben Crenshaw, Hal Sutton, and many other famous golfers are part of our golf history. Each of these golf greats participated and won the Phoenix Open. Their images have been carefully captured throughout the Clubhouse as a remembrance of their contribution to the game of golf as well as to Phoenix Country Club. After 30 years Phoenix Country Club is once again the host of the PGA Champions Tour – The Schwab Cup in 2017 – 2018. From its first golf tournament in February 1900 to today, Phoenix Country Club has continued the founding membership’s vision of being the best, west of the Mississippi, and today is recognized as the preeminent private club of Phoenix. Phoenix Country Club is once again home for a PGA TOUR event. The Charles Schwab Cup Championship has chosen our fine Club to host the finale for the next ten years, through 2027. One notable privilege extended to golf members is the daily schedule of play on the golf course. Members have enjoyed an "open tee" system since 1932 allowing the Member to determine their preferred day and time to play the course. We offer the following highlights to provide a further understanding of our golf operation at Phoenix Country Club. The Professional Shop is also a showcase of the latest golf apparel, equipment and accessories.